・井坪 将, 大崎 隆比古, 木村 文則, 手塚 太郎, 前田 亮. 古典史料における人名・地名情報を用いた共起関係の可視化. 人文科学とコンピュータシンポジウム論文集, pp. 203-210, Dec. 2010. 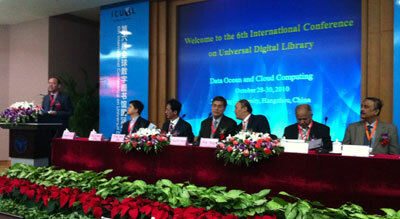 In late October, I participated in the 6th International Conference on Universal Digital Library (ICUDL2010), which held at the Zhejiang University in Hangzhou, China, during 28th-30th October 2010. 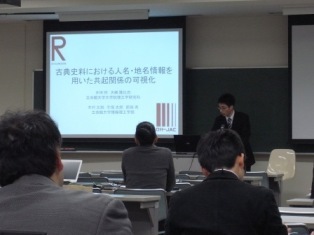 I gave a presentation under the title “Providing Universal Access to Japanese Humanities Digital Libraries: An Approach to Federated Searching System Using Automatic Metadata Mapping”. My paper was selected as an article in the international Journal of Zhejiang University SCIENCE C published by Springer. Biligsaikhan Batjargal, Fuminori Kimura, and Akira Maeda. Providing Universal Access to Japanese Humanities Databases: An Approach to Federated Searching System Using Automatic Metadata Mapping. Journal of Zhejiang University-SCIENCE C, Vol. 11, No. 11, pp. 837-843, Oct. 2010. 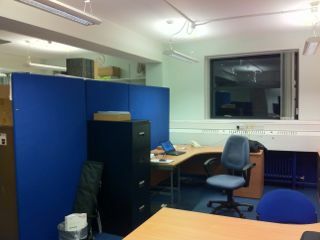 I went to U.K again, to make my busiest trip in this year, 2010. I gave an oral presentation, a “digital poster” and a demonstration at the two international conferences in London and Glasgow. 5-7th of September, I participated in the annual international conference– Digital Resources for the Humanities & Arts –DRHA 2010 which held at the Brunel University, London, United Kingdom. I made an oral presentation under the title “Providing Access to Historical Collections of the High Middle Ages of Mongolia Written in Traditional Mongolian Script” and “digital poster” presentation about my approach to search Japanese Ukiyo-e databases using English queries. 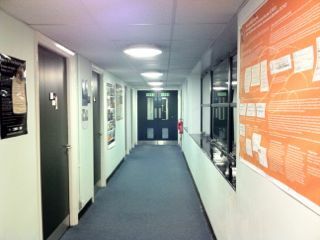 Just after my presentation at DRHA2010, I left West London to take my flight to the other side of U.K, Scotland, Glasgow. 7-10th of September, I participated in the European Conference on Research and Advanced Technology for Digital Libraries (ECDL2010) which held at the University of Glasgow. I made a demonstration about my system to search Japanese Ukiyo-e databases using English queries. Acceptance rate was 53%, and it was great opportunity to attend the leading European conference in digital library research. Hopefully I'll be able to get to rest and recover after experiencing the time differences, sleepless long flights and my series presentation. Biligsaikhan Batjargal, Fuminori Kimura, and Akira Maeda. Searching Japanese Traditional Fine Art: Ukiyo-e Image Databases Using English Queries. In Digital Resources for the Humanities and Arts 2010 Conference (DRHA2010), London, U.K., Sep. 2010. Biligsaikhan Batjargal, Fuminori Kimura, and Akira Maeda. Providing Access to Historical Collections of the High Middle Ages of Mongolia Written in Traditional Mongolian Script. In Digital Resources for the Humanities and Arts 2010 Conference (DRHA2010), London, U.K., Sep. 2010. Biligsaikhan Batjargal, Fuminori Kimura, and Akira Maeda. Approach to Cross-Language Retrieval for Japanese Traditional Fine Art: Ukiyo-e Database. In Proceedings of the 14th European Conference on Research and Advanced Technology for Digital Libraries (ECDL2010), Glasgow, U.K., Sep. 2010. I am finally here in London at King's College, after 19 hours travel from Kusatsu, to attend DH2010, the annual international conference for digital scholarship in the humanities, sponsored by the Alliance of Digital Humanities Organisations (ADHO). I made another presentation about my research under the title “An Approach to Ancient-to-modern and Cross-script Information Access for Traditional Mongolian Historical Collections”. The goal of my research is to develop a technology for accessing digital library collections in various different languages, in a wide range of periods from ancient to modern as well as considering cultural differences. I want to express my sincere gratitude to Digital Humanities Center for Japanese Arts and Cultures for supporting this research. During the conference I was surprised to give an unplanned interview just before my presentation. However, I made a presentation at the poster session; I got some ideas, from humanities' point of view, to motivate my research. It is time to go back to Japan. Unfortunately, I will miss this year's Mongolian Naadam festival, which held during the National Holiday from July 11 – 13. I hope I will come to London again. Biligsaikhan Batjargal, Garmaabazar Khaltarkhuu, Fuminori Kimura, and Akira Maeda. An Approach to Ancient-to-modern and Cross-script Information Access for Traditional Mongolian Historical Collections. In Proceedings of Digital Humanities 2010, London, U.K., Jul. 2010. During the winter time, on June 21 - 25 of 2010, I participated and made a presentation at the ICADL2010. For the first time in this year, the ACM/IEEE Joint Conference on Digital Libraries (JCDL) and the annual International Conference on Asia-Pacific Digital Libraries (ICADL) held together at the Gold Coast in Australia. It was good opportunity for me to attend the two famous and leading international conferences in digital libraries research. I presented about my project “Traditional Mongolian Script Digital Library” at the session "Digital Libraries of Heritage Materials” chaired by Professor Gobinda Chowdhury. 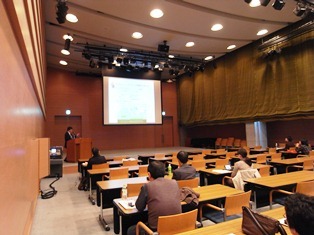 Furthermore, I participated in the workshop “Digital Libraries for International Development”. I asked to make a presentation about digital library development of Mongolia in the session “Country Focus”. Fruitful discussions were held to explore innovative designs and applications of digital libraries to improve education, health, and financial conditions of people. I like Gold Goast`s winter, which I feel like a summer in my country. An average temperature of the Australian winter is around 16 degrees in Celsius, is quite warmer than my homeland Mongolia (what about -40 degrees?). Time to say goodbye Gold Coast! Wet and hot Japanese summer is waiting me. Biligsaikhan Batjargal, Garmaabazar Khaltarkhuu, Fuminori Kimura, and Akira Maeda. 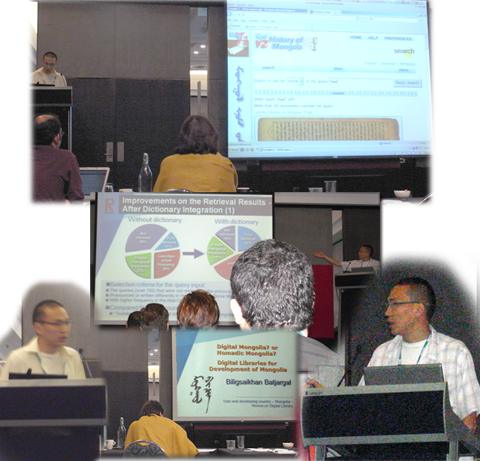 An Ancient-to-modern Information Retrieval for Digital Collections of Traditional Mongolian Script.In Proceedings of the 12th International Conference on Asia-Pacific Digital Libraries (ICADL2010), Gold Coast, Australia, Jun. 2010.